From fasting to cleansing to calorie or carb-counting, people wanting to lose weight are literally overwhelmed for choice when it comes to strategies they can follow. Among the most popular and scientifically researched diets nowadays are intermittent fasting (IF) and the ketogenic diet, or keto. Both of these eating plans have garnered explosively positive reviews and inspiring results separately, so just imagine how they’d do together. With intermittent fasting as the base, let’s look at how this super duo can work together to get you the results you want more efficiently. There’s a lot of confusion out there about Intermittent Fasting (IF). Before we zero in on how IF can supercharge your keto weight loss, let’s take a minute or to clarify what IF and check out the science behind why you should be doing it. Intermittent fasting, as the name suggests, involves planned strategic periods of no-eating in order to achieve such health results as fat loss, detoxification and improved energy. Rather than a diet, intermittent fasting is a lifestyle style pattern that has been shown to achieve amazing health benefits. There is a range of fasting types, with fasting times ranging from 16 to 32 hours. Some people fast every day, while others do it once or twice each week. During the period of fasting it is vital that you stay hydrated with 8-10 eight-ounce glasses of water. Starvation is dangerous. Intermittent fasting, however, is not starvation. It is simply increasing the gaps between meals in order to benefit from the body’s physiological response. A common belief is that extended periods of non-eating will result in low blood sugar, leading to a hypoglycemic state. When you’re in that state you feel weak, faint, and unable to focus. It induces an overwhelming desire to load your body with simple carbohydrates. Yet, there is no medical proof to back up that assertion. Going without food for a few hours will not cause your blood sugar levels to go through the floor. Sure, your insulin levels will be low. But that’s when it’s counter, glucagon steps up to release stored glycogen into the bloodstream. Nor will Intermittent Fasting cause you to lose muscle tissue. The more muscle mass we have on our frame, the more calories we need to maintain that muscle mass. Fasting is actually a superior way to ensure that you keep that muscle mass than the traditional calorie restricted diet. Fasting triggers the release of growth hormone. Growth hormone is essential for muscle mass. Artificial versions of it form the basis of many anabolic steroid compounds. It encourages the body to look for other sources of fuel, such as your fat stores, rather than attacking its muscle stores. In a study conducted by researchers at Intermount Medical Centre in Utah, study participants fasted for 24 hours and then had their Growth Hormone levels checked. At the end of the fast, the average Growth Hormone level had gone up by an amazing 1,300 percent in women and an even more staggering 2000 percent in men. Fasting preserves your muscle in another way. It is thought to aid in maintaining the level of the hormone insulin-like growth factor (IGF-1) in the body. IGF-1 helps muscle to build protein. Most people view fasting with a great deal of skepticism. Most of us relate it with religious ritual, political protest or extremist action. Not eating simply sounds unhealthy. Food, after all is what fuels us. 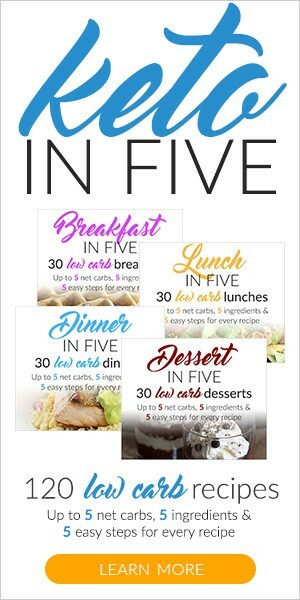 We’ve been ingrained to eat three well spaced meals every day. The truth is that nearly every person who is now a believer in intermittent fasting started off as a skeptic. They’ve all been won over by one thing . . .
Every time we eat, we are putting sugar into our system. That sugar is transported to the liver to be broken down into glycogen. If we eat too much sugar, out liver’s glycogen stores fill up. What then happens to the glycogen? It gets stored as body fat. If you continue taking sugar into your body, your liver stores will never get depleted and you will continue storing the excess as fat. If, however, you cut the supply, your liver’s glycogen stores will deplete to the point that the body is forced to rely on its back-up stores that are located in your fat cells. When that happens you will be burning off body fat. Intermittent fasting set that process in motion. Irradiating, bleaching and heating our foods has stripped it of health giving vitamins, enzymes, fiber and minerals. The processed foods that we over indulge in have clogged up our intestines, making it terribly difficult for the body to efficiently absorb the limited amount of vitamins and minerals that it does get. The toxins that are stored inside of you are overwhelming your body. If we can’t digest food properly, we are unable to digest the nutrients that we need to fuel our body. Undigested food leads to a build-up of mucus which, in turn, makes it hard to digest nutrients. PCBs are synthetic compounds that are used in insulating materials and coolants. As a result of either waste dumping or air pollution, PCBs get into our food chains. They enter our water -ways and settle on our crops. The US National Toxicology Program have concluded that PCBs are reasonably likely to cause cancer in humans. They also cause severe acne, rashes and eye irritation. BPA is a carbon based synthetic compound that is used in many plastic products, such as water bottle and food containers. When it enters the human body, BPA acts an imitator of the female hormone estrogen. It has been linked to heart disease, diabetes and liver disease. BPA is especially harmful to infants and young children, as it affects brain and hormonal development. BHT is a synthetic compound that is added to foods and chemicals to prevent oxidation and enhance the color and flavor. It is also used in jet fuels, embalming fluids and petrol products. BHT has been linked to liver and kidney damage, an impaired immune system, behavioral abnormalities and cancer. When you go on a detox, you are providing your body with the breathing space to get rid of built up toxins. Intermittent Fasting allows your body the time to detox. Think about when you want to clean your oven. You’re not going to get in there and clear out all of the built up grease and grime while you’re cooking a roast chicken. Rather, you’ll do it at a time when the kitchen is not being used. Otherwise, it simply won’t work. It’s the same thing with a detox. For it to work, you need to give your system a break from digestion so that it go about cleaning itself out. Intermittent fasting allows you to do that. Intermittent fasting has remarkable curative ability. It will provide the means to cleanse and clear out your system, in the process removing the causes of a whole host of diseases from the body. And, unlike the medications which physicians typically dole out, it does all of this without posing harmful side effects. How can fasting do what medical science is unable to? The healing secret of fasting is its ability to de-stress the body. Fasting gives your body a chance to take a break and catch its breath. After all, more than 70% of your daily energy expenditure goes to activities like digestion and detoxification. The more we eat, the more we put pressure on the body to continue on this treadmill. By jumping off the treadmill, we give the body the chance to more effectively get rid of toxins. Fasting gives the body the opportunity to do a self-management assessment. It identifies areas of damage and eliminates them in favor of new, healthier cells. Scientists have conducted a number of studies with animals (mice and monkeys, among others) which show a clear link between fasting and living longer. It all has to do with the hormone insulin-like growth factor (IGF-1). Fasting results in lower levels of IGF-1. IGF-1 happens to play a large part in the host of diseases associated with aging. Insulin signals your body to store energy so it can be used later. Every time we eat we release insulin. When you practice intermittent fasting, however, you receive an insulin spike after eating, but then, because you have a large gap before your next meal, there is no insulin activity going on in the body at all. This encourages the body to burn fat, while also maintaining the body’s natural sensitivity to insulin. against such brain diseases as Alzheimer’s and Parkinson’s Disease. This research has only been done on mice to date. In a 2012 study, conducted by the US National Institute of Aging, fasted mice were shown to more easily remember their way around a maze than fed mice. When their brains were scanned, it was revealed that the fasted mice had more new brain cell growth. There is now enough promising research on mice to merit human research. Fasts that last for 24 hours or less are more accurately called time-restricted feeding because the focus is on consuming all meals within a certain time window. Some people loosely refer to this style as the “feast and fast,” with the term “feast” suggesting a no-holds-barred approach to what’s consumed, as long as it’s within a certain time frame. Intermittent fasting, on the other hand, involves more consciousness about the food consumed, although this largely involves time-restricted eating as well. 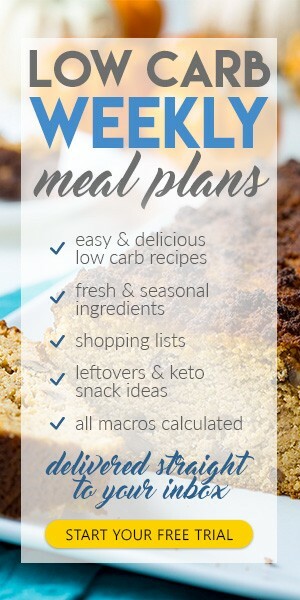 People doing IF ideally should also consider the nutritional value of their meals, which is why they often follow a certain diet style like paleo or keto. The most common description of the 16/8 or Leangains diet that people use would categorize it under time-restriction eating since they refer to it as “eating whatever you want for 8 hours and then sticking to no-calorie beverages during the 16 hours”. But if you want to realize the optimum effects of such a diet, here are some guidelines you can follow. Like all diet plans, there are risks involved in following them. To help keep you informed, here are guidelines derived from Dr. Valter Longo, a professor in USC’s Longevity Institute, from his discussion on little-known facts about intermittent fasting. One of the reasons why the 16/8 intermittent fasting style is popular is because it’s the easiest to adapt to people’s existing lifestyles. However, if you become careless about what you eat, you might end up not losing at all. This is because when you’re in the “fasting” state, especially if you’re not exercising at all, your body relies on your basal metabolic rate (BMR) to burn fat. The more muscles you have, the more fat you burn. Being careless about food choices can lead you to consume more carbs or sugar and not enough protein or fat, which could lead to muscle loss and result to less capacity to burn body fat. Intermittent fasting dictates “eating to satiety” or eating until you’re full, but make sure you’re not simply stuffing your body with empty calories or unhealthy fat that will do more harm than good. If you’ve read articles about intermittent fasting, breakfast is the meal people forgo the most. So many claims that skipping breakfast doesn’t matter because you’ll get your needed nutrients later anyway. Although you could fulfill your daily recommended nutrition no matter which meals you eat, what people do not know is that constantly fasting overnight for more than 12 hours while skipping breakfast can lead to developing gallstones. This especially holds true for women, which is why Dr. Longo recommends doing a 12/12 instead of a 16/8. There are also studies that show that the peak beneficial fasting period for women is 12-14 hours only, so really, there’s room for at least brunch. KETO TIP: This choice like all choices on the keto diet will be different for everyone, and it’s up to you to experiment and decide what works best for you and your body. Eat breakfast, don’t eat breakfast, 16/8, 12/12,18/6 it’s up to you. What causes most diets to fail are exorbitant expectations and a harsh reality check. New followers of intermittent fasting usually join in for the promises of “fast and easy weight loss.” But if you treat this as something temporary, a small snag can easily derail you. Committing to better health involves a lifestyle and mindset change. Once you’ve set your mind to do this for the rest of your life, intermittent fasting will become simply one of your habits and not a chore you have to adhere to. Set your sights for the long haul and you’ll have better chances of reaching your health and weight loss goals. The reason why you get lethargic after meals are the dip in your blood glucose level. Here’s a harsh truth: sugar is addictive. When you eat sugary food, your blood sugar level spikes as if you’re on a high. Since most people’s default diet is composed of large carbs, and given that carbohydrates are metabolized into glucose, which is the form of blood sugar our body uses for energy, we get an energy boost after eating sweet or starchy things. But our bodies can only convert a limited amount of sugar into glucose. The remaining ones get stored as fat instead. When this happens, the sugar high is followed by a huge crash, leaving us sluggish, our brains foggy, and with more unwanted fats. The keto diet, on the other hand, is designed to switch our bodies from burning sugar to burning fat for energy. Fat is a cleaner fuel source, and if you have an excess of that, then you’ll hit two birds with one stone – decrease your fat stores and have a steady supply of energy! Unlike carbohydrates, protein and fat are macronutrients that keep you sated for longer. The ideal ketogenic meal is composed of 70-75% healthy fat, 20-25% protein, and only 5-10% carbohydrates. Although the general rule states that you “eat until full” without mentioning calorie requirements, ideally, you shouldn’t go below 1,000 calories per day. Any less than that and your body will go into starvation mode, which will make it hold on to fat more. As we mentioned, the ketogenic diet makes you burn fat for energy instead of glucose. In a normal carb-heavy diet, during the fasting time in IF, your body would simply be burning off the carbs that you ate within the window, leaving your excess stored fats largely untouched especially if you don’t exercise. But if you consume keto meals during your feast time, your body will be left with nothing but fats to burn during fasting hours, resulting in more efficient fat burning. The most important thing you need at the beginning is motivation, determination, and your eyes on the prize. There are a lot of IF and keto guides out there, but we recommend you read our Keto Getting Started Guide first. Some also consider a cleanse prior to starting. Every day, we’re all surrounded by toxins. From the air we breathe to the things we eat, harmful toxins enter our body, clogging our cells and making us more susceptible to inflammation that causes chronic illnesses. By going on a detox cleanse like George DiGianni’s organic 21-Day full body cleanse, you can prep your body to be more receptive of good nutrients by flushing out toxins and resetting your taste buds to not crave for unhealthy food. Remember, intermittent fasting and keto are merely tools to get you where you want to be. The real hero in this success-story-in-the-making is you!